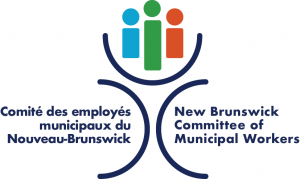 FREDERICTON: The largest union in New Brunswick, the Canadian Union of Public Employees, is consulting with members across the province on a new course of action to halt the Government’s austerity bulldozer. “We are ready to pull out all the stops to save the social fabric of New Brunswick”, said Odette Robichaud, CUPE NB Vice-President. At the press conference today with union leaders representing the hospitals, schools, transportation workers and other government employees, CUPE NB asked the government to tell citizens how they came up with the document ‘Choices to Move New Brunswick Forward’. “With this document ‘Choices to Move New Brunswick Forward’, Brian Gallant’s legacy will be the destruction of our society,” concluded Robichaud.